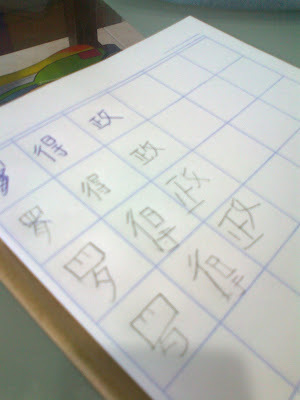 "Mummy, can you teach me how to write my name?" I took out the exercise book I bought yesterday and write out his name (see my super duper ugly handwriting!) and he sat down to write patiently. He was so proud when he wrote the 1st line. 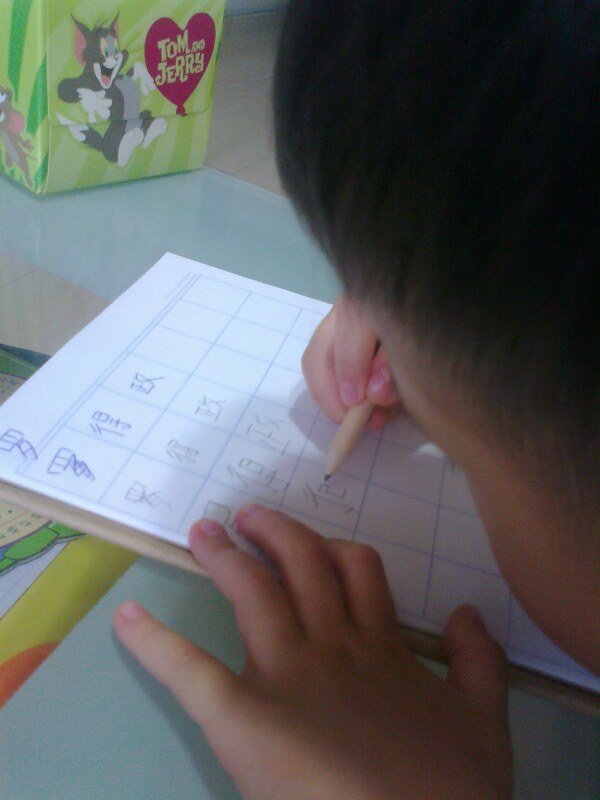 Half way through, daddy came back, he turn the exercise book over and this silly boy says "Papa~ Nothing! Nothing ok? There is nothing in this book." I whispered to him that he can continue when daddy goes into the room to change. But daddy was doing something in the living room so he took the exercise book and ran into his room to finish up the writing before showing it proudly to daddy.